Custom Novelty Number Plates – These are made just for YOU! 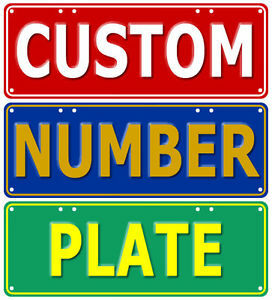 Fun Plates / Custom Fun Plates / Novelty Number Plates / Custom Novelty Number Plates. Just like the real deal! Embossed Aluminium ONLY $30 each + postage. Place your order Online here TODAY. Direct Deposit & Credit Card Payment.